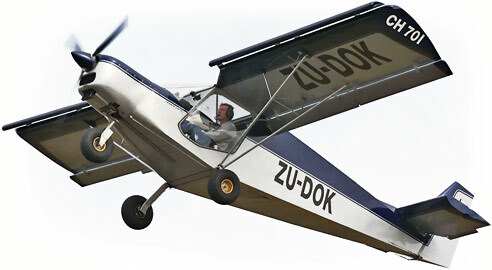 The STOL CH 701 uses a special airfoil design to achieve very high lift, low stall speeds, and high strength. A thick wing, full-length leading-edge slats and trailing edge junker type flaperons develop a maximum wing lift coefficient of 3.10, while maintaining a short wing-span  for maximum strength and ground maneuverability. The stall of the wing occurs at the highest lift coefficient on an airfoil, when the airflow can no longer go around the airfoils nose (leading edge) and separates from the upper wing surface. Conventional trailing-edge wing flaps help delay the stall to a higher lift coefficient, but only with limited effectiveness. However, by combining the use of trailing-edge flaps with leading-edge slats, the wing's lift coefficient can be effectively doubled if used on the full span of the wing. Leading edge slats prevent the stall up to approximately 30 degrees incidence (angle of attack) by picking up a lot of air from below, where the slot is large and accelerating the air in the funnel shaped slot (venturi effect) and blowing this fast air tangentially on the upper wing surface through the much smaller slot. This effectively "pulls" the air around the leading edge, thus preventing the stall up to a much higher angle of incidence and lift coefficient. At the wing tip, the STOL CH 701 design utilizes Hoerner tips to maximize the wings effective lift area and to minimize wing tips vortices. Hoerner wing tips provide the largest effective span for a given geometric span or a given wing weight. ABOVE-CAB WINGS: The aircraft wings are positioned above the cabin and fuselage - this allows for excellent horizontal visibility as the wings are located above the pilots head to provide pilot and passenger with superior visibility. In addition, the wings taper at the wing root to meet the skylight top window  maximizing upward visibility, a feature especially useful in steep turns. While providing great visibility, the above-cab wing design minimizes the frontal area of the aircraft to reduce drag, while also allowing the airflow to travel undisturbed from the propeller to the tail sections  further maximizing slow flight control of the aircraft. Article: "Anatomy of a STOL Aircraft: Designing a Modern Short Take-Off and Landing Aircraft"